Lotus Cuisine of India not only delivers rich and flavorful Indian Cuisine, but we also offer a distinctive selection of organic and sustainable wine and beer. 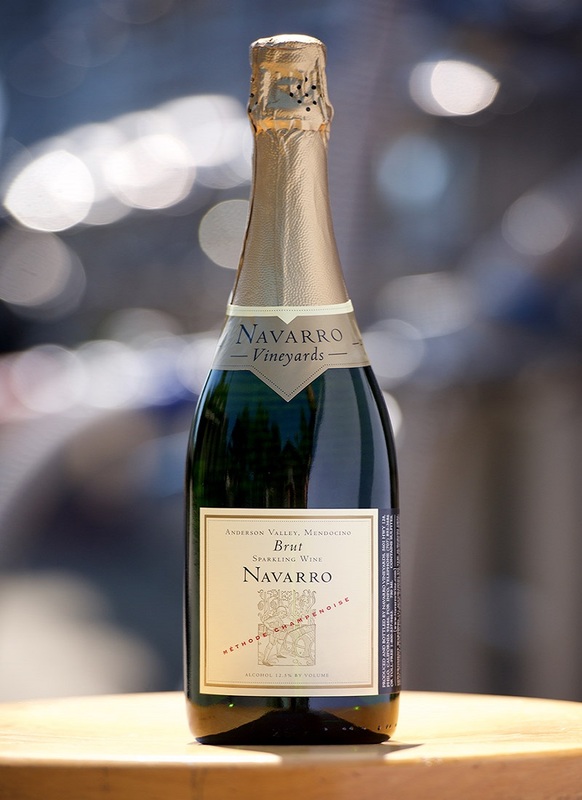 Check out Navarro Brut Sparkling Wine at Lotus Cuisine of India. This is a Navarro version of a Champagne style wine. Very crisp and dry. Try it with our deep fried finger food such as Samosas or Pakoras or any of our appetizer items. The flavors show Mayer lemon and mild lychee. This wine is made from Gewurztraminer grapes. Very limited! For our wine menu click here. Enjoy alfesco dining at the Cafe Lotus Patio! Cafe Lotus has always been know as a small "hole-in-the-wall" place with limited seating. 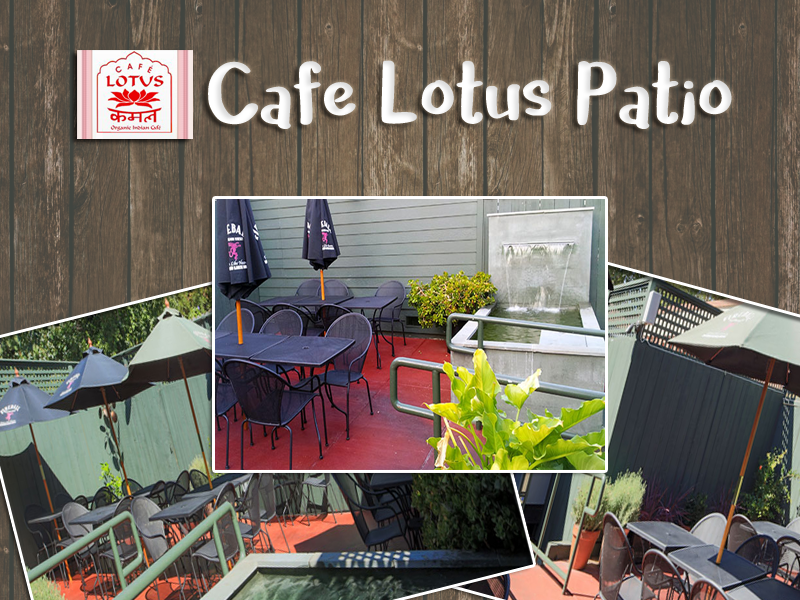 But did you know that Cafe Lotus actually has a spacious outdoor patio out back with iron mesh-top tables and chairs and shade umbrellas! This is a protected space where you can enjoy a special Lotus meal all Summer long. Lotus Chaat and Spices in the West End of San Rafael has both a restaurant offering delicious Indian "Chaat" street food as well as an Indian Grocery Store! 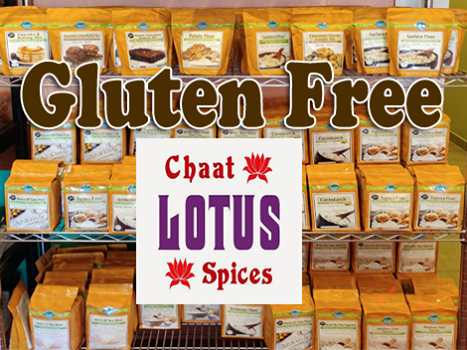 In our Grocery section you'll find spices, a frozen food section, and now we also have a special baking section with all gluten-free ingredients. Why not try baking some gluten-free treats? You probably know that the Lotus Family of Restaurants uses organic and local ingredients. 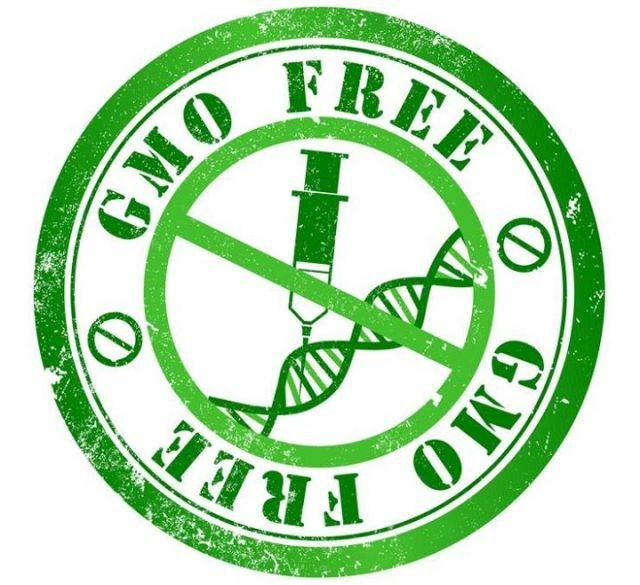 Did you know that we also make a point of sourcing Non-GMO ingredients for our delicious Indian cuisine? The mission of the Lotus Family of Restaurants is to create contemporary healthy Indian cuisine for the San Francisco Bay Area in the most environmentally friendly way possible using the finest local sustainable and organic ingredients. 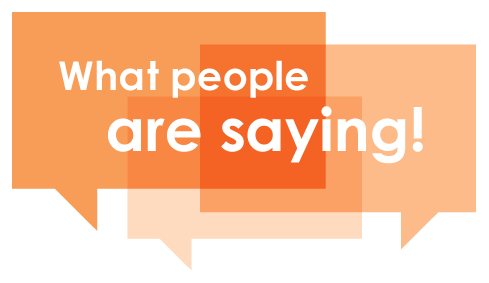 Learn about effective impact entrepreneurship and what you can do and what our community can do to support it.